An artistically designed piece of jewelry, like this gorgeous diamond ring, always finds a way to effortlessly capture attention. The luster of 14k white gold metal makes the perfect background for the prong set lab grown diamonds that adorn the vertical bar frame of the ring. Its sleek shank does not just radiate a distinctive gleam, but also offers the comfort to be stacked along with other rings. 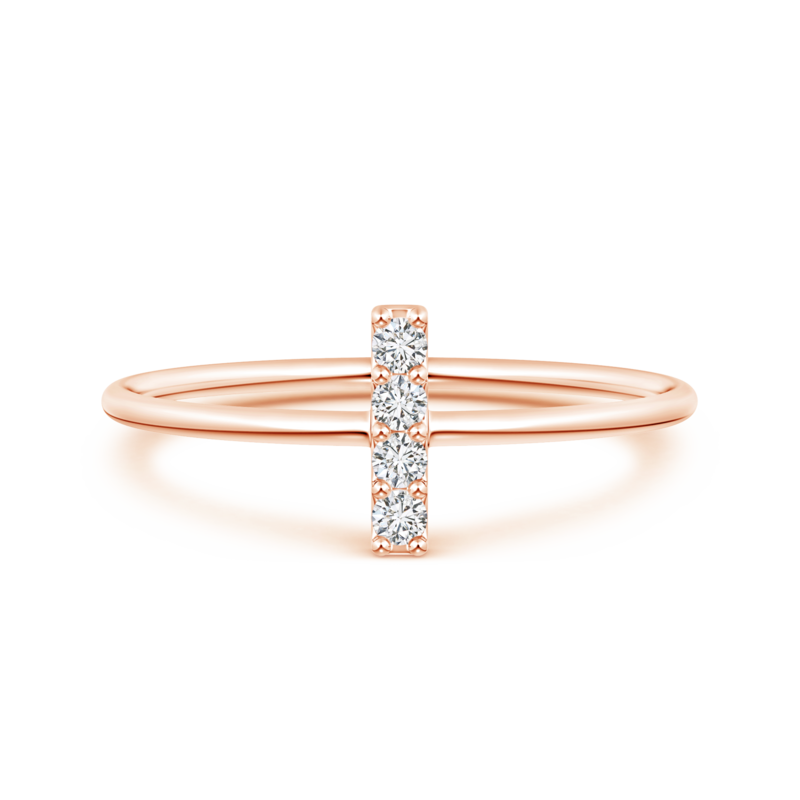 The brilliance of lab grown diamonds and the stylish allure exuded by this staple bar ring makes it a possession to be cherished for a lifetime.